This article marks the sixth story from Korean war vet Bill Todd’s Korea Files. Click here to read part 1, click here to read part 2, click here to read part 3, click here to read part 4, and click here to read part 5. The F-86 Sabre and the MiG-15 are both swept wing, single-engine fighters whose silhouettes are very similar, except the MiG has a high “T” tail, whereas the F-86’s horizontal stabilizer is center-line fuselage. In the heat of an aerial battle, they can appear almost identical. When in a dogfight, you are holding around 0.8 Mach, which equates to flying about 900 feet per second. Consequently, things happen incredibly fast. For example, if you spot a MiG at your altitude going the opposite direction, giving chase would be futile. Assuming that he is going at your speed, by the time you do a high speed 180- during which time you have lost airspeed – he would almost be out of sight. Even if you’re on his tail, between the high-G maneuvers to get him in your gun sight you only have one or two seconds in which to fire. If your initial firings were successful and you’ve learned his aerial fighting tactics, you can finish the job with longer bursts of your guns. Fortunately for all, the guns in the F-86A are not “armed” until the armament specialist does so before you take the active runway. In later model F-86E&F, you had the ability to arm them from the cockpits once airborne. Once airborne and joined up in formation, the group leader would call out to check your guns. This you would do by firing off as few rounds as possible. Each of our .50 caliber machine guns had a magazine of 200 rounds. Because all guns fired simultaneously at 1000-2000 rounds per minute, and you did not want to waste ammo, the triggers weren’t given more than a flick of the gun trigger, which fired about 6-8 rounds. If your guns did not fire, the day was over and you would return to base. The big event happened when after a fight a few days earlier, our gun camera film came back from Japan, fully developed. Although the combat ops briefing room was large, (40-50 chairs) on these nights it would be standing room only as the different squadrons gathered to review the films. The lights would be extinguished, the projector turned on, and the film would roll, along with the pilot’s name and date. Standard procedure of debriefing after each. Fighter pilots would state their claim as to damage effected on the enemy aircraft, which would be corroborated by the gun camera and witnesses if there are any. After each film, the lights would come back on and a determination made in regards to the validity of the pilot’s claim. In some cases, there may be no other supporting confirmation by the wingman or others, as things do happen very rapidly. The film is the final determination. After viewing, a general consensus was reached by a panel of appointed officers, and the decision made (“a kill” is seeing the pilot ejecting, aircraft impacting the ground or disintegrating in the air). After reviewing the film several times, the next film came on with name and date. This pilot was a Major in group headquarters. Although not assigned to a specific squadron, they were scheduled for missions by the individual flight leaders. His claim at debriefing was that he had scored a kill. Unfortunately, in the heat of the battle he had lost his wing man, so he had no witnesses except the gun camera itself. The film was vivid and clear. We watched as he shot down an aircraft, scoring a definite kill. What we didn’t expect to see was that the plane shot down was an F-86. The Major had shot down his own wing man. 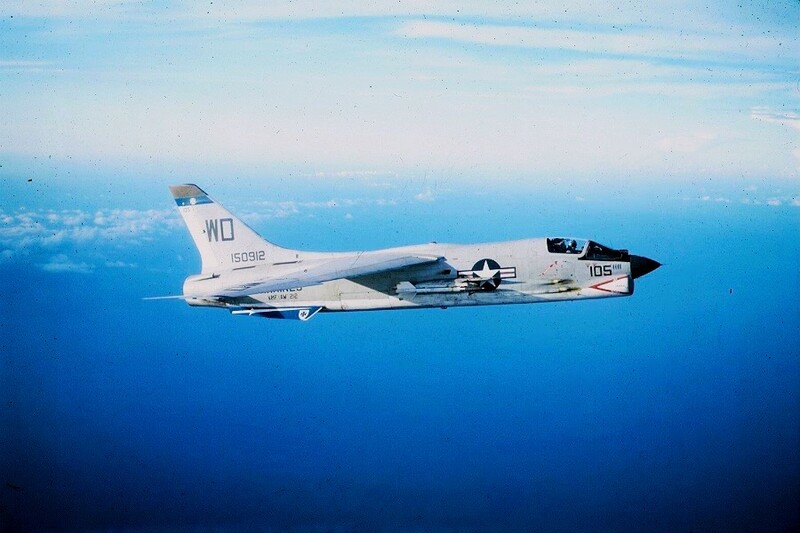 The Major may have been in hot pursuit and already fired at a MiG, who was making high speed evasive maneuvering, during which time his wing man, always looking to the rear for protection, missed a high G turn and flew in front of the target. In some high G maneuvering you may, momentarily, loose sight of the prey. Suddenly an airplane is in your gun site and the high adrenaline reaction is to fire. As the projector was turned off, the lights came back on. The Major stood, trying to speak, but no words came out. He lowered his head and left the room. No one on base ever saw him again. The wing man wasn’t reported or returned home as a POW, so it’s assumed he died in the gun fire. What a horrific thing to live with for the rest of your life, not to mention a ruined career. Featured image “MiG-15 and F-86” by cclark395 on Flickr, used under license (CC BY-NC 2.0). Bill Todd is a Korean War veteran and US Air Force fighter pilot who flew 72 combat missions with the 4th Fighter Interceptor Wing. After four and a half years in the Service, Bill became an experimental test pilot for the GE Aircraft Engine Group, where he worked for 38 years before retiring.